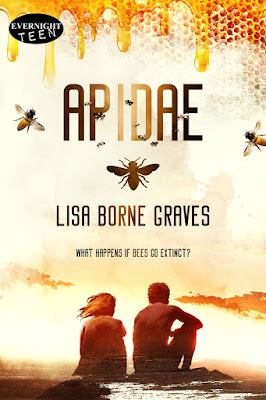 Lisa Borne Graves: Crowdsourcing--a new way to get published? Crowdsourcing--a new way to get published? There's this new edgy way to get published these days and I was excited at the prospect: crowd-sourcing. I decided to scope it out before I'd ever try it myself. After all, I understood the term "crowdsourcing," but what did it really mean for the publishing world? I did what I do best--research. Macmillan publishing powerhouse has started Swoon Reads (https://www.swoonreads.com/) and it seems to be a win-win situation. Readers and writers simply create a free account. Readers have access to hundreds of Young Adult (YA) romance novels of all sub-genres free of charge (which can be catered to his/her tastes). 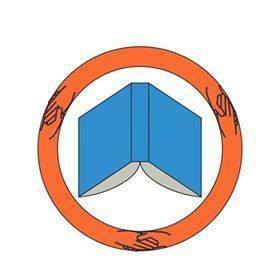 As for authors, they upload their unpublished novel and readers read, comment, and rate it. Within six months, the editors of Macmillian will view it, and you can guess the rest--the better the ratings, the more likely they will notice and consider publishing it. The masses are given the power to influence publishing companies to market what they want to read. Ingenuous! Macmillian does publish many from this line, so there is a chance an author can "make it" this way. It sounded interesting, so I signed up. As a reader of everything I can get my hands on, I do enjoy fluffy, sweet YA romances from time to time, and it is the genre in which I'm trying to publish. The best research is to read, read, read, so I did. I will say what Swoon Reads proclaims is true: they immediately weed out and remove novels not up to their standards. Out of the five I read so far, the grammar was polished, a couple not perfect, but at least proofread well. Most novels I read were good, entertaining, and interesting. They could use some revision in characterization and/or pacing, but overall very promising. The novels were exceedingly better than some of the self-published ones you see on Amazon, not to mention the new scams that slip through on Amazon's site (although they now have a crowdsourcing program too I need to further research). Swoon Reads had no scams but only decent novels that are free! For readers, this is a dream come true. And the best part is you can help authors. I cannot recommend it more if you lean towards reading YA romance. For authors, there is a catch of course, but one they freely post so you understand their process. When an author submits a novel, it is on lockdown legally for six months while it is being considered. You cannot send it anywhere else. If you aren't eager to get published right away or incessantly tried and could not get a book published, this may be the way to go. The other criticism I have is the reader pool. They all just want to please the authors and tell them how wonderful the book is instead of giving constructive criticism. This could be very frustrating for someone who has tried to get published and has failed as in he/she still isn't getting the feedback needed to become successful. When I gave didactic, constructive, and very detailed criticism, I was thanked for giving real feedback and even asked more questions for additional help by one author. These are serious people who want to do what it takes to get published. Swoon Reads does try to get readers to give constructive feedback like I did with very leading questions, but people tend to overlook them and give very little useful feedback. I think if the website had one of their editors set the stage with a great and detailed example, the authors might get what they need from their readers. Overall, this is an interesting platform for publication, one I'm not ready to delve into until I see its success rate, but one that definitely weeds out those who can write from those that only have good ideas. You never know though, Swoon Reads could be the forrunner that will save self-publishing's reputation as well as being successful for publishing powerhouses and conglomerates.